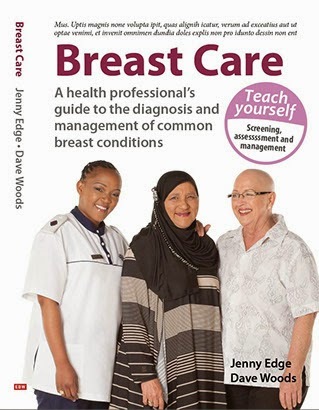 Dr Jenny Edge: Is pink awareness enough to change breast cancer care in Southern Africa? 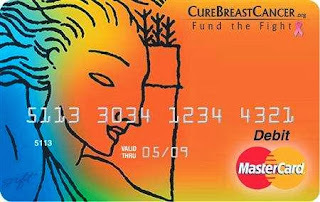 Is pink awareness enough to change breast cancer care in Southern Africa? Last Friday, CBMH hosted it's annual Breast Cancer Awareness event. I gave a talk entitled "Is pink awareness enough to change breast cancer care in Southern Africa". The talk was well attended and we were privileged to have Dr Mutebi with us. She is a surgeon from Kenya and is in Cape Town doing a fellowship in breast surgery. The pink ribbon is worth a fortune. I tried to find out how much it is worth but failed to get a reliable estimate. Looking at figures of nearly $500 000 000 in the Susan G Kommen's financial statement gives an impression that it must be worth billions of Dollars. How much of that money trickles down? In the USA, much of the money raised may not be used appropriately. What about the situation here? Over October, we have tried to follow up leads to see where the "pink drive" money is going. We have traced a few and the ones we have answers for seem to have money being channelled into recognised NGOs. I have not been able to find out what percentage. 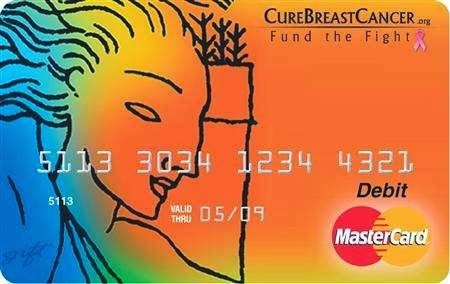 We cannot, however, use the campaigns from the the developed world to think we will make a difference to the majority of women with breast problems in this country. There are few statistics about the stage of presentation of women with breast cancer in South Africa. 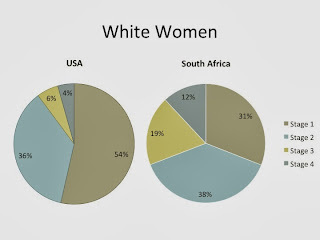 I used figures from 2001, Joburg and compared them to SEER data (USA) and came up with the following pie charts. 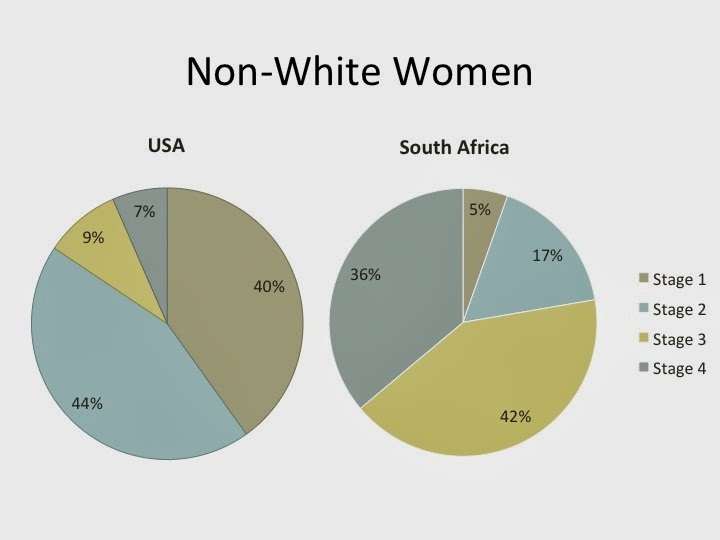 (Interestingly, both sets of data were presented as "white women" and "non white women": the difference in the 2 groups probably has more to do with access to treatment rather than race). 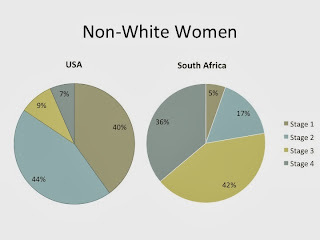 In this series, nearly 80% of non white women in S Africa present with stage 3 and 4 breast cancer.I accept that the data is old and the situation may have improved. The fact remains that we see too many women with locally advanced breast cancer presenting to our clinics. We need to think of new and innovative ways to create awareness about breast cancer in this and other developing countries an we must encourage companies to be transparent about their cause related marketing campaigns. 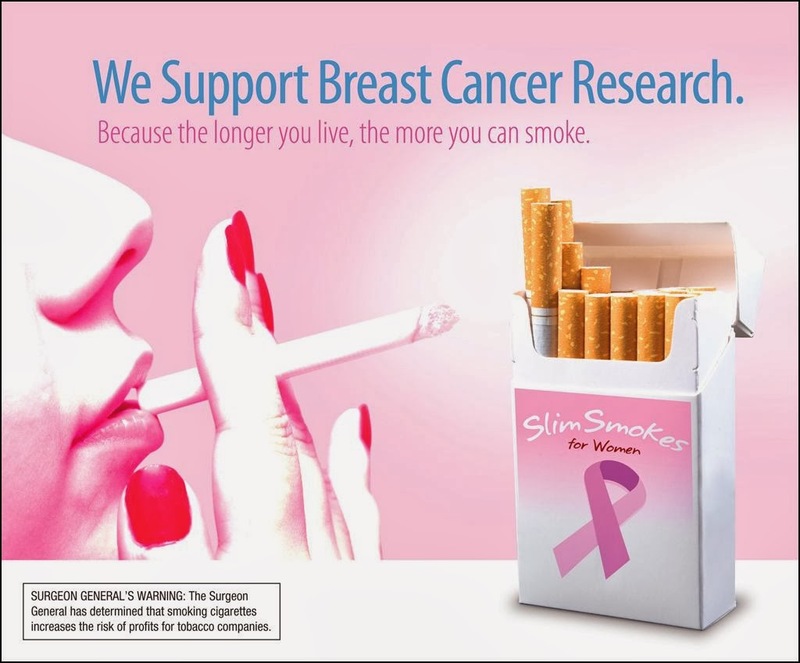 They should stipulate what percentage of their profits are going to the cause and exactly which "cause" it is going to.